DDB (the creative director being Bill Bernbach) and the creative hit team of Helmut Krone and Julian Koenig seemed to change Madison Street advertising in the space of a season. Bill Bernbach is seen as the messiah of modern day advertising, the Don Draper, who not only revolutionized advertising into its present form but also created a new structure of creating creative teams to ‘work together’. 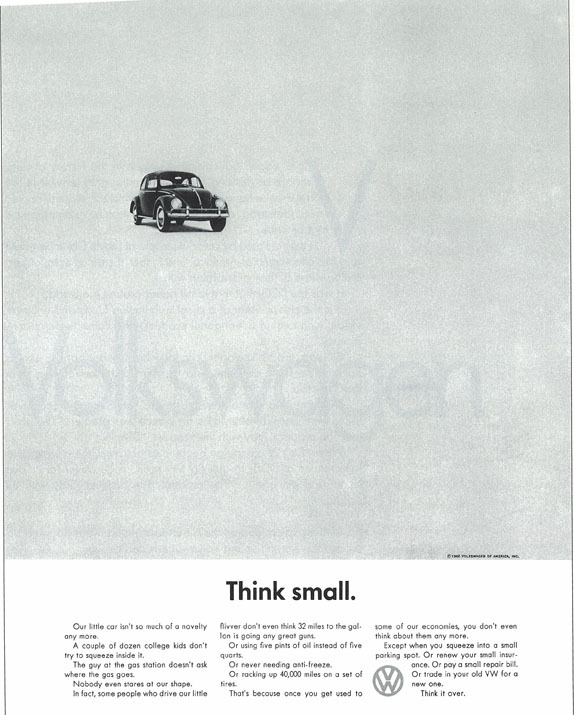 Arguably the Eureka campaign that changed everything is the Think Small campaign which redefined VW in 1959. (As a side note, I’d encourage anyone to read the body copy, which for me is more intriguing and clever than the insight itself). Basically this campaign is counted as Year One, the genesis of advertising. But something doesn’t sit right with this story for me, and I’ll tell you why. Being somewhat of a hoarder when it comes to old things I keep on referring to old ads mainly due to interest. And when I say old, I mean Queen Victoria old. What I kept on seeing in these pre Year One ads were traces of insight advertising and modern day advertising practices. I thought it would be good to share some of these with anyone interested, and to illustrate the point that in my view, modern advertising practices didn’t come from one office in one building in one city over one season. 1. Copenhagen Clothes store. Ambient. In Copenhagen a clothier was faced with a problem. An oversupply of coats. See attached for the solution to his problem. 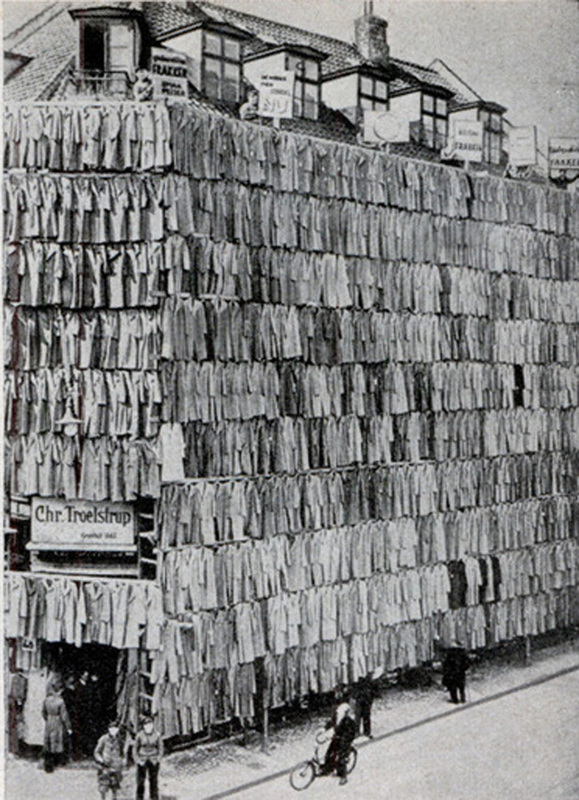 The police ordered the shop owner to take down the coats but not before they had all been sold. In today’s age it’s commonplace to show an exaggeration to demonstrate the benefit of the product. 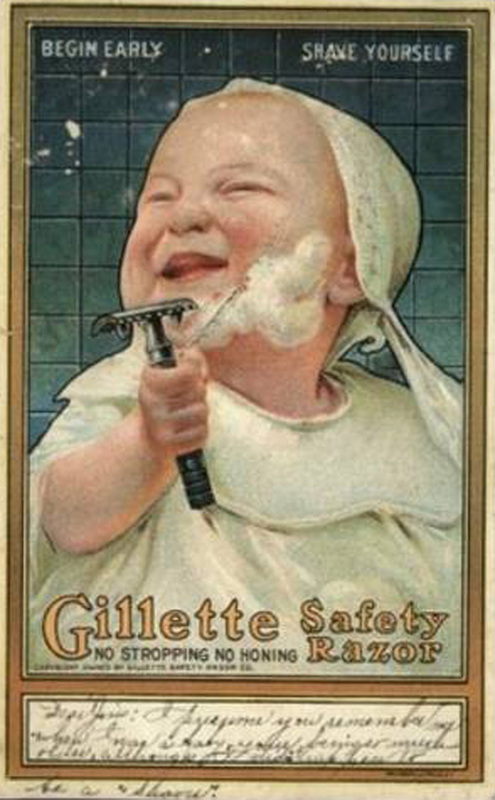 The line of ‘begin early’ and ‘shave yourself’ certainly detracts from the true insight of ‘it’s safe enough even a baby can use it’ and ‘your skin is as smooth as a baby’s’ but the insight is still there. The sinking of the Lusitania in 1915 killed 1,198 people, mainly civilians. The act contributed in America being pulled into the war (see it as Pearl Harbor lite but for World War 1) and galvanised support for the UK. See attached for an enlist ad that is one of my all time favourite war propaganda posters. 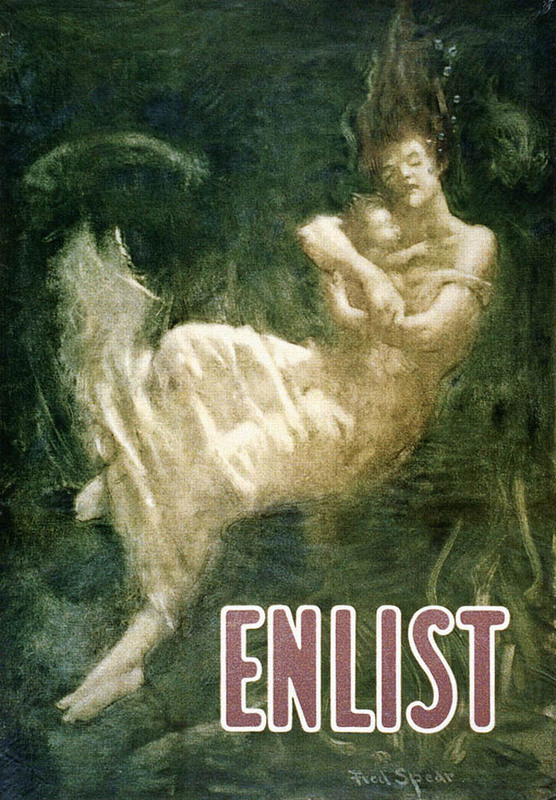 No cheesy symbolism, no Kaisers looking like an Octopus with its tentacles all over Europe… instead, just a woman and her baby drowning (the conclusion can be drawn she was from the Lusitania) with the single word, ‘enlist’. 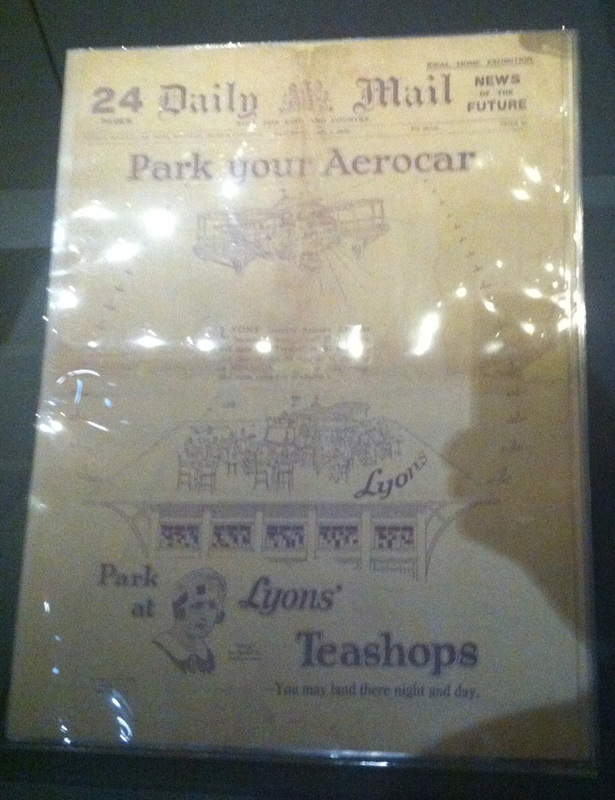 Found in the basement of the British Library (hence the bad photograph) the Daily Mail at the turn of the 20th century dedicated an issue to how the future would be. But they just didn’t write about it. They turned the entire newspaper for one day into how a newspaper of the future would be… from the made up future products it sold through to the travel articles, the news, and the sports pages. What were they selling? I guess you could argue, themselves. It’s an idea that still sounds fresh and ballsy even in 2013.